Surround yourself with all the comforts a vacation on a tropical island can give you. 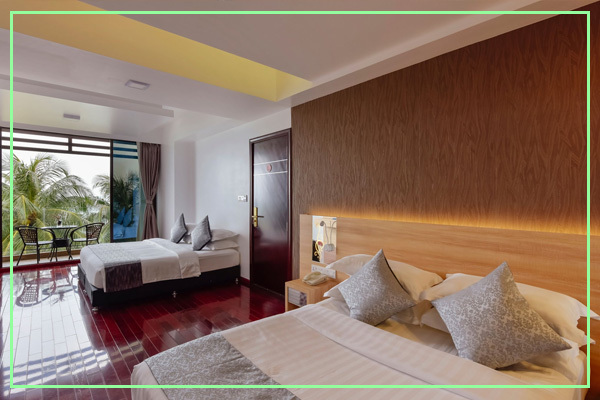 At our Maldives accommodation you will be treated to well-appointed rooms the comes with a breathtaking view of the Indian Ocean or the city in Maafushi. You will definitely get a thrill out of staying at Arena Beach Hotel and our modish rooms. Designed with well-chosen furniture and wooden floor, the standard room provides the perfect intimate lodging. 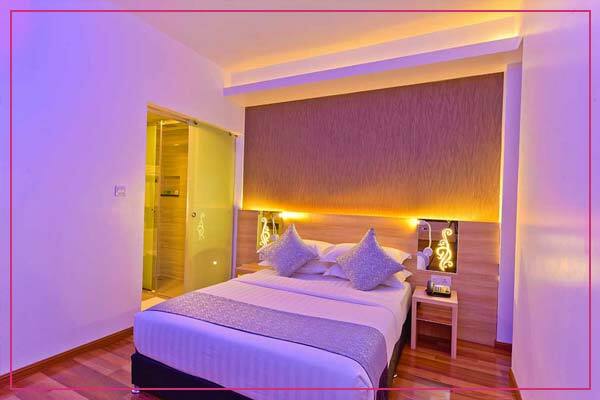 The Standard Deluxe Rooms come with standard amenities for complete comfort. This standard deluxe sea view room provides an intimate stay for two. Designed with carefully selected furniture and wooden floor. The queen-sized bed, flat-screen TV, wardrobe, and other fittings make it a comfortable nest. Outfitted with modern décor, these spacious deluxe rooms also offer guests a view of local residential living. Not to mention the welcome natural scenery of lush green tropical trees of Maafushi. 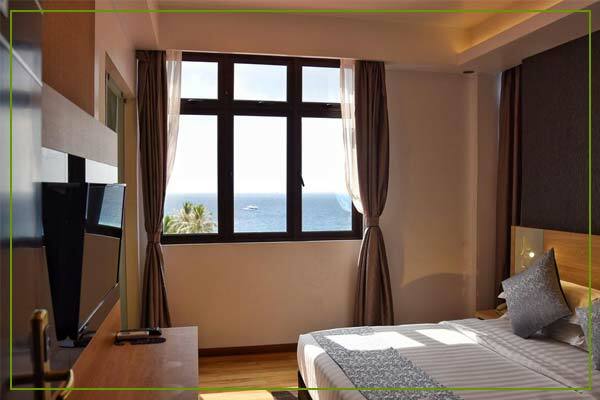 Apart from its elegant furniture and fittings, these deluxe rooms offer the most breathtaking view of the sea. Be treated to the island’s beautiful turquoise lagoon stretching out across the Indian Ocean. 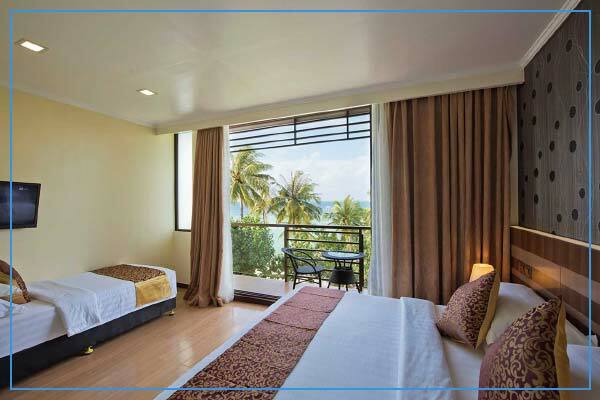 Situated on the upper floor, the spacious rooms also come with a larger balcony where you can relax and watch the sea. These have modern furnishings with some of its fittings made from indigenous materials. 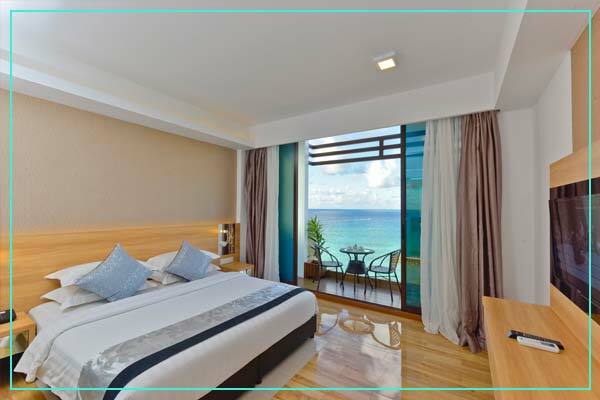 The Grand Deluxe Seaview offers an expansive room that comes with special amenities. This is a Maldives accommodation that will surround guests in complete indulgence.